DAVID LE/Staff photo. 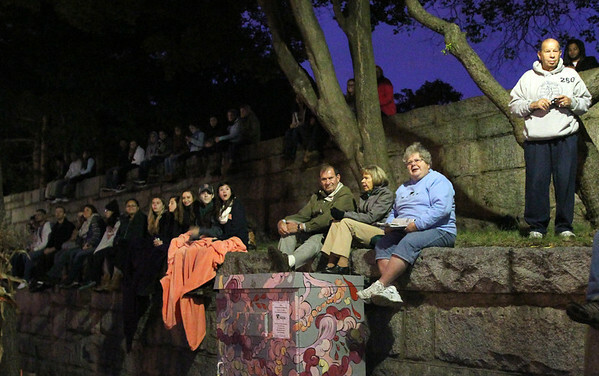 A few dozen people found seats high above street level, sitting on the walls near the cemetery that lines Derby Street in Salem to watch the Haunted Happenings Parade on Thursday evening. 10/1/15.